Legend has it that Patsy Hendren was wandering on the beach with some of his cricketing mates when he was asked by a group of kids to join them for a game. The young lads, in those old days before television, had no idea that this short, stocky man was one of the greatest batsmen to play for England. Hendren was an incorrigible prankster, but one who could win the world over with his tricks. Captains used to send him into the outfield, to counter hostile crowds. Once asked why he was fielding there by the severe barrackers, Hendren answered: “The skipper wanted the ugliest bloke down here.” And the hostility was over. 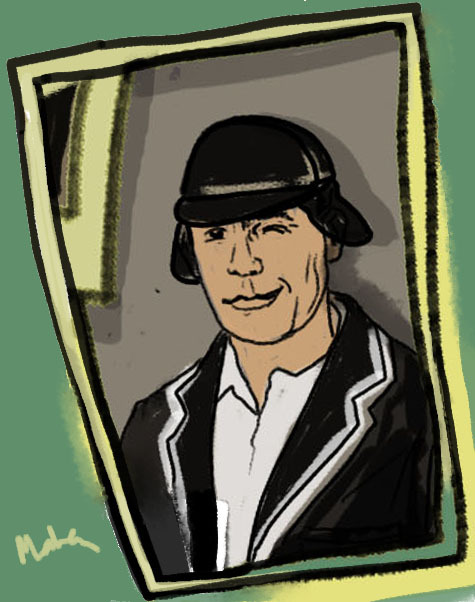 Hendren was as innovative as he was brilliant.He experimented with a three peaked rubber hat as protection against Leary Constantine and Manny Martindale’s near-Bodyline bowling in the 1930s, some decades before the helmet became normal. He was an eternal mischievous school kid. Even when he was scoring that 132 in the Ashes Test at Old Trafford against Bill O’Reilly and co at the age of 45 years and 151 days.